Anyone with sense of direction will nod to the fact that marketing has really “pulled up its socks” in the last few years. Marketing has gone online. However, the fact that internet marketing works doesn’t afford you the lazy card to sit around waiting for your website links and posts to go viral overnight. It takes a smart planner to establish a credible online presence. This is why blogger outreach and link building are important factors to consider when driving a website’s traffic. What Is Blogger Outreach? What Is Link Building? When you want to get successful in a given field, you position yourself to be noticed by your peers. These are people who can help you shoot up quite fast if you can grab their attention. That’s how blogger outreach works. It’s basically all about establishing a relationship with other established bloggers and getting them to share your content on their websites and social media. When they do that, it’s called link building. 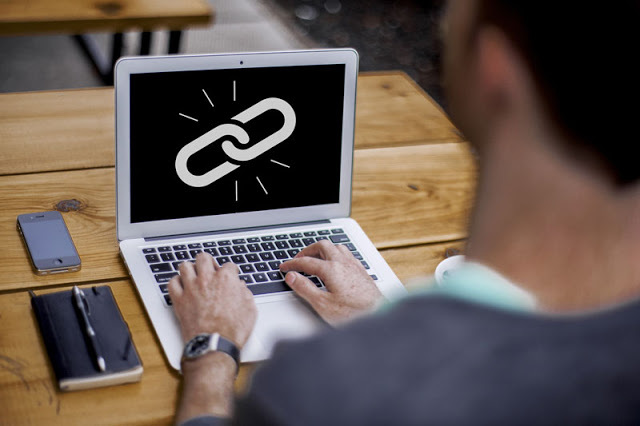 So in essence, link building is the publication of external links from other sites or blogs leading back to your website. Like everything else to work for on this planet, blogger outreach and link building have their bones to be chewed. As much as you would like your posts to break the internet within hours of publishing, you also want to keep your website on Google’s good books. Now, the balancing act is the real challenge. Buying backlinks: You can pay some blogger to post backlinks on their site leading back to yours, or you can even opt to have the links posted in the comments section (which is the cheaper option, by the way). However, you better keep your head up to identify and keep away from scam sites and spam sites. Google has a strict policy about such sites, and getting caught up with them could land you in trouble “with the authorities” and get you penalized. You don’t want that. Broken links and 404 errors: Having broken links on your site can be quite a letdown in terms of driving traffic. People will generally ignore any website with broken links. The challenge comes when you’ve to dig those links out and fix them. You also need to add a 301 redirect to target the links on the desired pages on the website. Outsource link building: You can put professionals on the job and get organic outreach from SEO and unique blog content tailored to the users’ needs. The unique content would put your website among the top links to appear on the search page when a user makes a search on the engine. This would drive more traffic to your site and help you establish authority in your niche. Service providers like The HOTH is managing SEO for several businesses and can help you with that. Assemble your toolbox: The good news is that there are tools out there that you can use to make your work easier. These tools help you search and find the best and relevant blogs related to your niche. In turn, this comes in handy when you start out on your blogger outreach plan. These include the Screaming Frog SEO Spider and Siteliner that help in fixing errors in links. Find influencers: Influencers are the already established bloggers within your niche that can help you grow your traffic. If you play smart blogger outreach, your blog posts could go viral and make you an internet sensation overnight. You’ve seen it happen, and you’ve been wondering how the heck it happens. Well, now you know. The trick is to offer high-quality guest blog posts and building a positive relationship with the influential bloggers. You can even suggest a partnership, and that’s even better! A few mentions and post shares from the right people, and you’re good to take over the online world. That’s how content marketing works. Invest in content writing: One thing is sure: You’re going nowhere if your content doesn’t cut it. Always focus on high-quality because no sane reader comes back to a site that posts junk. Churn out master-pieces and get the readers by their hearts. You’ll achieve that only if you’re sharing useful information. Again, content is key. From the points above, you can truly understand the importance of good link building skills and successful blogger outreach techniques. Capitalize on those and sway your way to success.